Celebrate 25 Years with FREE Pringles! Offer alert! Every geek needs to keep stocked up with snacks – and to celebrate 25 years of Pringles, they’re giving away completely FREE Pringles! That’s right, you can grab a 40g can (the small packs) completely free up to maximum value of 81p. This is a no purchase necessary offer so go and grab your goodies next time you’re passing the shop. Limited number of coupons available – 25,000. Grab yours now so you don’t miss out! Any 40g can of Pringles is included in the offer – pick your favourite flavour! Must be used within 14 days of printing the coupon. Ensure your printer is switched on, loaded with paper, filled with ink/toner and you’re good to go. Like Pringles on Facebook. If you already like them, skip this step. Surely everyone already likes Pringles anyway!?! Click the button in the centre of the page to grab the SafeCoupons.com software and get your voucher. Don’t worry, you don’t have to rush to the shop now – once you’ve grabbed your coupon, you’re in. Just make sure you use it by the valid until date printed at the top of your voucher! If this offer, and us alerting you to this offer has helped, let us know below – then we’ll know whether we need to be posting technologically related offers more often! Students – Grab Microsoft Office for Free! Welcome student readers and academics – have you taken advantage of the offer to get free Microsoft Office throughout your student life? If not, don’t fork out £100 or more for it – grab it for free (legally!). Most students these days will have an Office 365 account setup at their institution linked to your student e-mail – i.e. john.smith@my-uni.ac.uk. Figures from Microsoft show that 99.9% of UK universities have signed up for the institution-wide licenses that give free access to the Microsoft Office Suite for free. Simple – just follow these easy steps. Head to the Microsoft Office website. Enter your university e-mail address (they call it ‘school’ – how very American ;-). Although to be fair, this does cover a lot of colleges and schools as well! ). You’ll be redirected to a login page hosted by your University – this will ask you for your credentials to sign in – i.e. your email (or username) and password that you use for your University email account. Upon successful sign in you’re redirected to a page allowing you to download the Microsoft Office suite for free. Another important thing to note is that this is also available to teachers, lecturers and academics. Sad times, I know – but it couldn’t last forever now could it? Fear not, the world does not end. 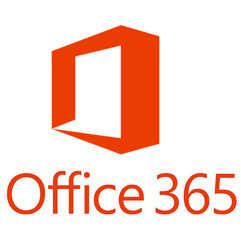 You can subscribe to Office 365 for about £8 / month, but in reality – for most people, a free alternative is just a useful and easy to use and in many ways, nearly every bit as powerful as the flagship Microsoft Product. Our recommendation would be LibreOffice. It’s Microsoft Office without the price tag. I’ve personally been using it for years and despite a few niggly frustrations, it stands up to the test and the job. It’s open source, regularly updated and has an equivalent product for most of the Microsoft Office suite – i.e. Word is Writer, Excel is Calc. It’s available of Windows, OS X and Linux too – so no matter what your operating system, you can benefit from this truly fantastic piece of open source software! Many of you may or may not be aware, as Sky customers, that they’ve had a service which has been around for a while now called ‘Buy and Keep’. Essentially Sky Store, which is what ‘Box Office’ used to be, allows you to purchase movies to buy and watch on your Sky box. In addition, with ‘Buy and Keep’ you can buy a movie, have it delivered to your Sky box to watch immediately but also get the DVD of the movie sent to you in the post as well. Sounds great. Now I don’t often purchase movies from Sky but at the moment there is a great opportunity to ‘Buy and Keep’ Kung Fu Panda, a hilarious animated comedy suitable for all the family! Precisely what you need for a good Saturday in (given the rain today in most of the country). The great bit – it’s 100% free at the moment – pay nothing. That’s to get the film to your box as well as the DVD posted to you for absolutely nothing! Grab it quick – because once the DVD stocks are gone, they’re gone! If you’ve not registered on Sky.com (i.e. to view your account, bills etc) online you’ll need to do this – don’t worry, it’s free and only takes a few minutes (will probably help if you have a recent bill or your welcome pack handy). If you have registered on Sky.com but not directly on Sky Store, just click login at Sky Store and login using your Sky account – you’ll automatically be registered for a Sky Store account with the same details – again don’t worry, completely free. On the Sky Store Kung Fu Panda page you’ll see that you can see a button ‘£0.00 Buy HD + DVD’ – click that one. It’ll get delivered straight to your box and the DVD in the post. If you’ve not bought anything through Sky Store before it’ll ask to register card details to the account – don’t worry, you won’t be charged (unless you purchase anything else – which is not required to take up this fantastic offer). But, by far the simplest way to take advantage of this offer is to access Sky Store through your planner on your Sky box – it’s all already linked to your account and you can ‘buy’ (for £0.00) the movie straight to your box and DVD with no hassle whatsoever! 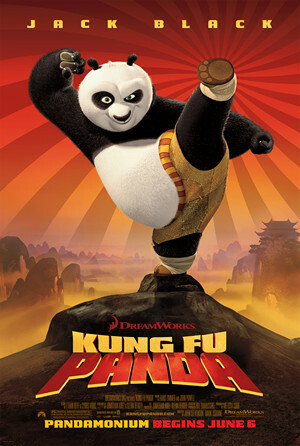 Enjoy Kung Fu Panda – it is a cracking film!